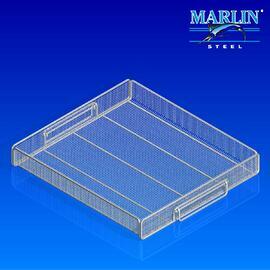 Marlin Steel specializes in making steel wire mesh baskets to meet the exact needs and tolerances of your application. If you need a basket for part washing applications or handling small objects, then a mesh basket is an ideal product for you. We make thousands of custom steel baskets and racks each week for customers with exacting needs in industries such as the pharmaceutical, defense, automotive and aerospace industries. Wire mesh baskets allow for free flow of air and liquids through the basket’s open space, making them highly effective at allowing parts to dry after a wash cycle. 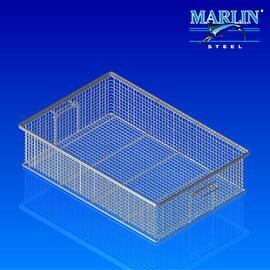 Marlin Steel's custom mesh baskets can be the perfect asset for your next project. 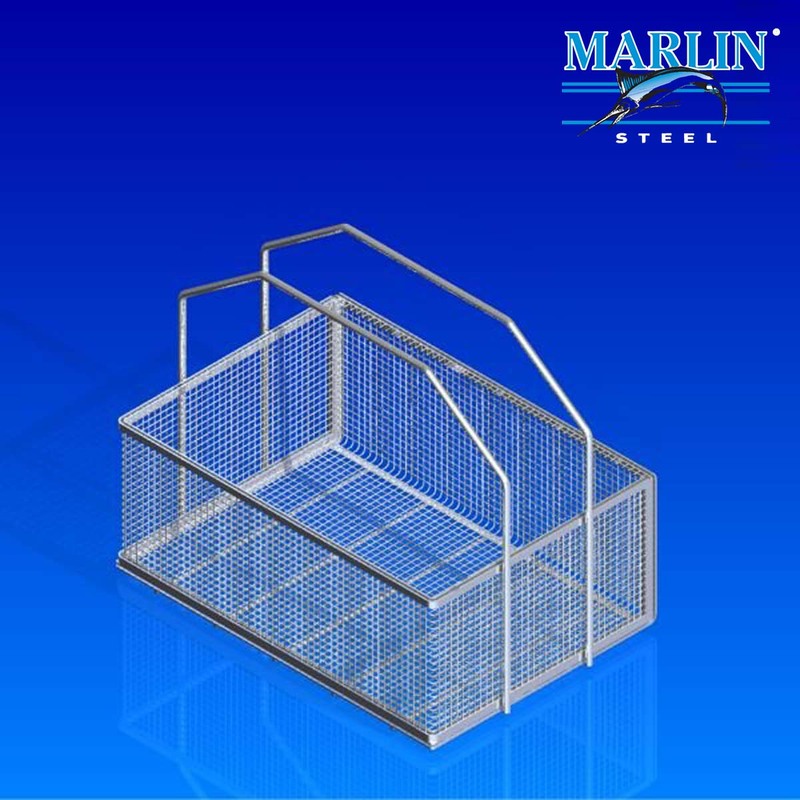 Whether you want to use one of our existing basket designs or need a custom-engineered basket, Marlin Steel is dedicated to giving you the perfect basket for the job. This is why every basket design starts with a questionnaire where Marlin’s engineers can learn about the components to be processed and the specifics of the process, such as what chemicals, temperatures, and other stresses the baskets will be exposed to. With this information, Marlin Steel’s engineers can make sure that your mesh basket provides the best balance of form, function, efficiency, and longevity possible using the right materials and design features for the job. We have many finishes available for your specific need and steel varieties to fulfill your requirements. If you have any questions please contact us here. 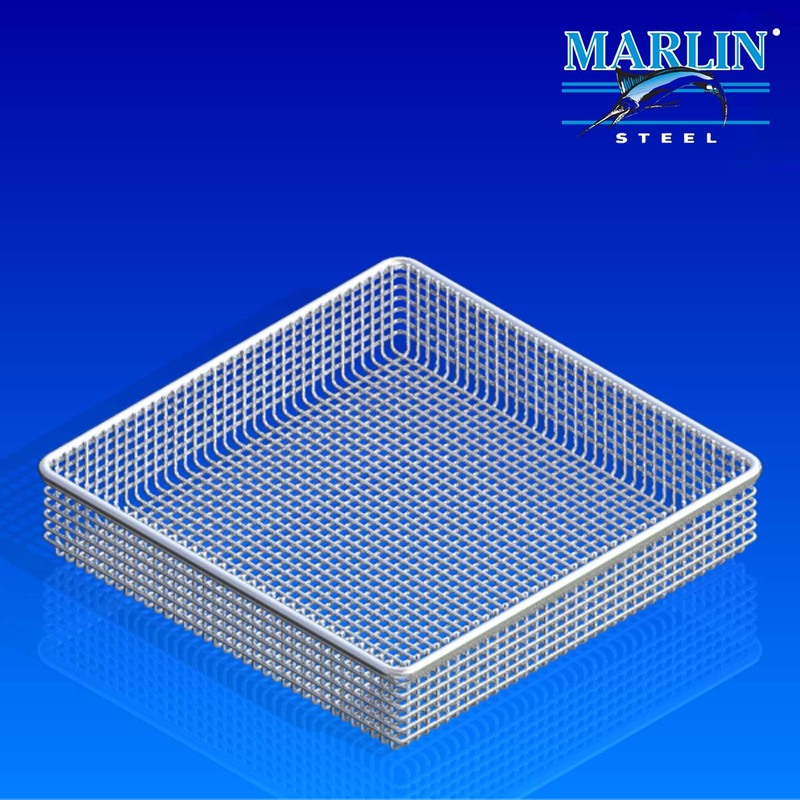 Submit your custom mesh basket requirements and a Marlin Steel employee will get back to you with a quote / more information.